Okpa di oku, the generally accepted morning food in Enugu. 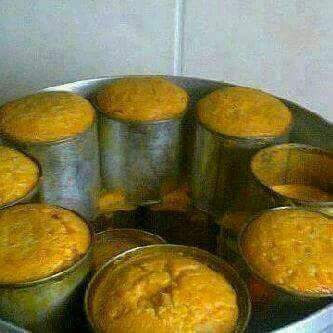 Okpa Enugu has become the best selling Street food, ndi Enugu can't live without. It is the food for the poor and the rich as the bigger balls sell for #100 while the smaller balls sell for #50 each. 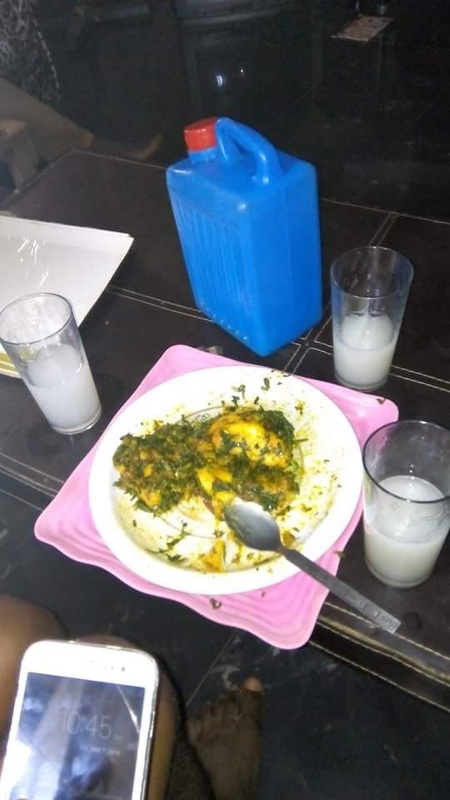 Okpa is nothing but a saviour to students and everyone;Eat it with a bottle of soft drink and you will never be bothered to eat again for the rest of the day. 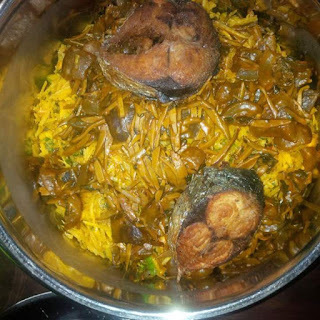 Where can I get Okpa di oku? Found in all the strategic places such as bustops, junctions, streets, motor Parks, schools, Churches, markets and many more. For those outside Nigeria who wish to cook Okpa can get Okpa flour(Barbara nut flour) at Amazon. If you're coming into Enugu through Anambra state, the rush towards you and the shouts... Okpa di oku, Okpa di oku, gonu Okpa from sellers at 9th mile will remind you that you are close to Enugu town. No doubt, Okpa is Enugu's gift to mankind. Abacha is one of the food I don't joke with. 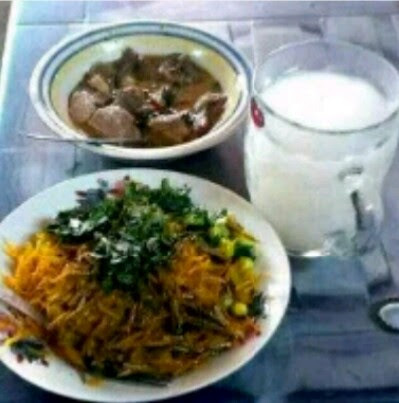 Abacha garnished with garden eggs, vegetables, kpomo/fried fish, ukpaka/ugba, akidi accompanied with fresh palm wine. 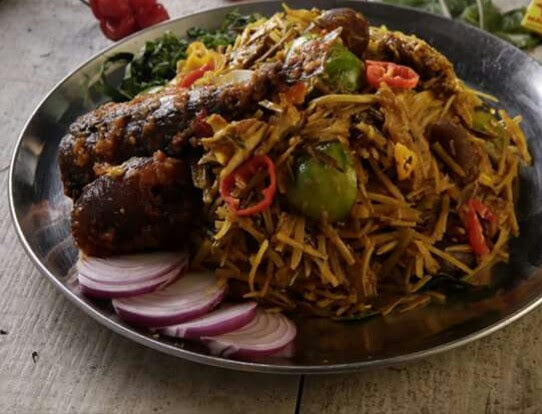 And the interesting thing is that Abacha can be relished as a meal or snack, depending on your preference. 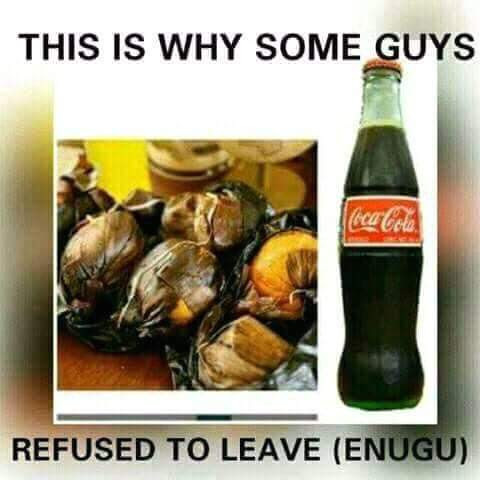 It serves best as a kola to visitors. 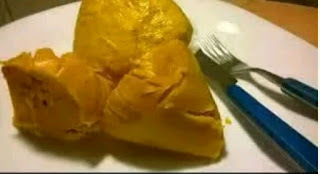 It’s prepared from cassava. Give this food a trial and the story will change.